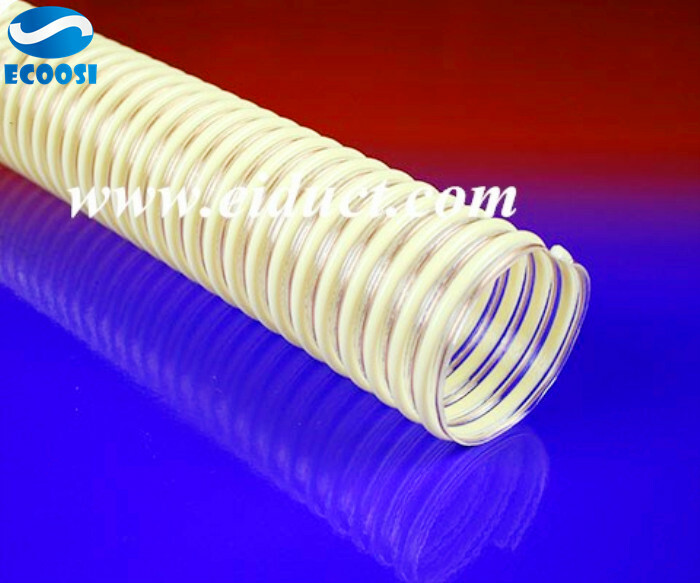 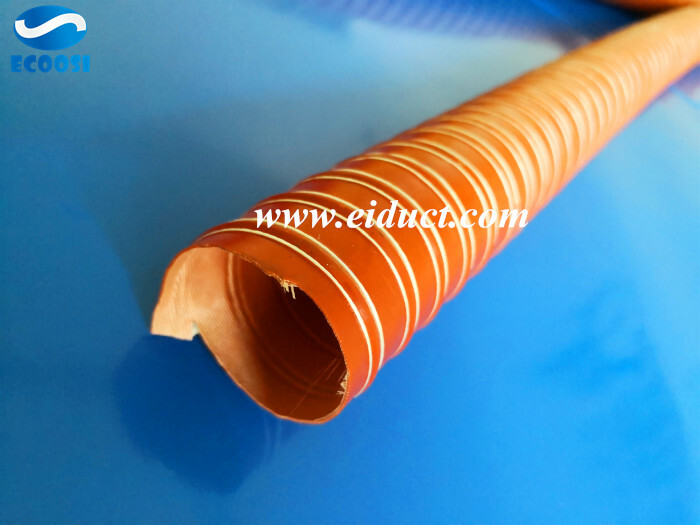 Vacuum hose is also known as dust collection hose, duct hose, flexible hose, ventilation hose, etc., according to the material, also divided into PVC ventilation hose, PU ventilation hose. 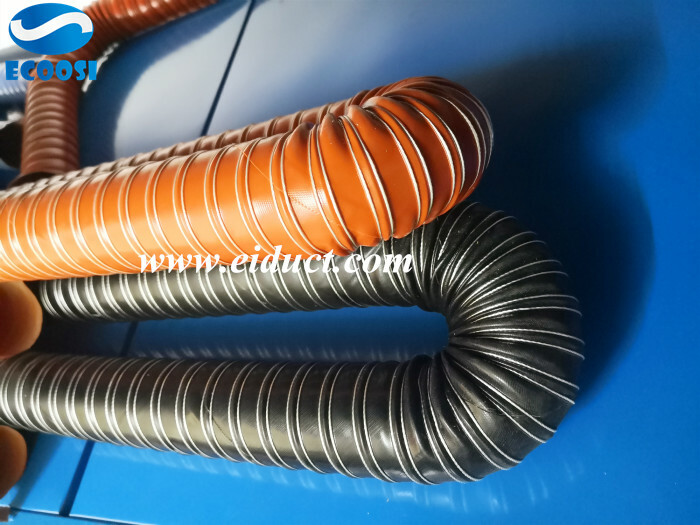 Polyurethane vacuum hose, anti-static duct hose is how anti-static? 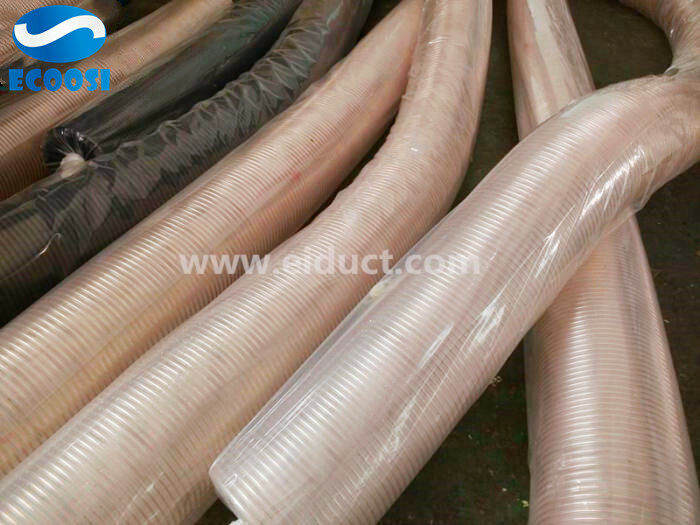 Ecoosis anti static duct hose is a strong electrostatic performance of the electrostatic to prevent the occurrence of electrostatic accidents, with a light, soft, good flexibility, corrosion resistance, hydrolysis resistance, high transparency, non-toxic. 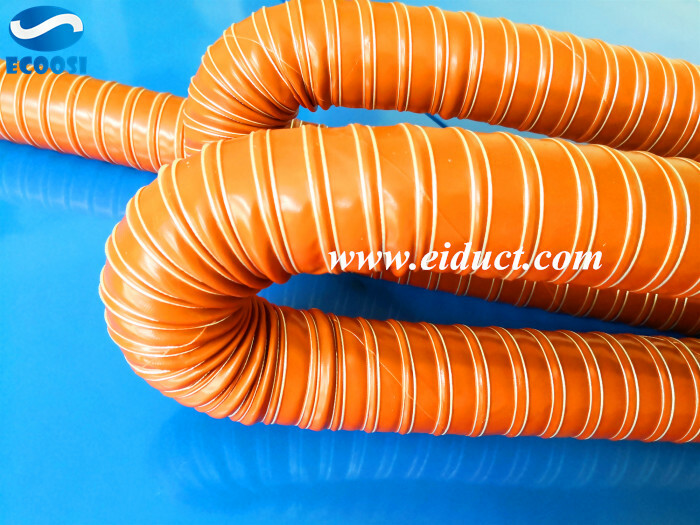 Ecoosi offer a polyurethane flexible and durable woodworking dust collection hose designed specifically for collecting woodchip and dust. 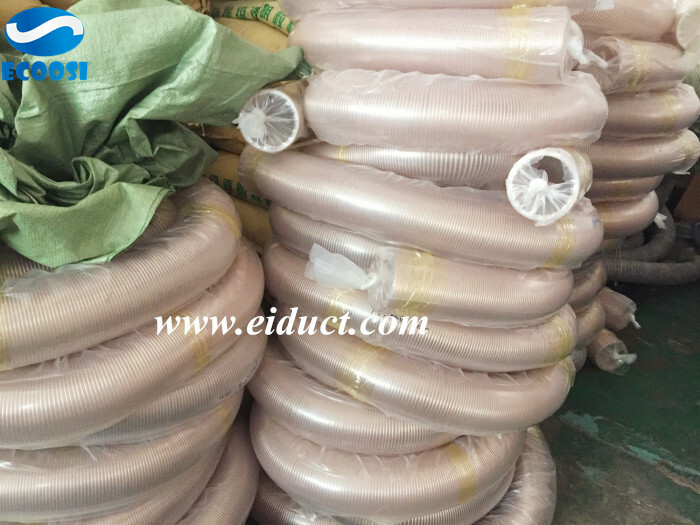 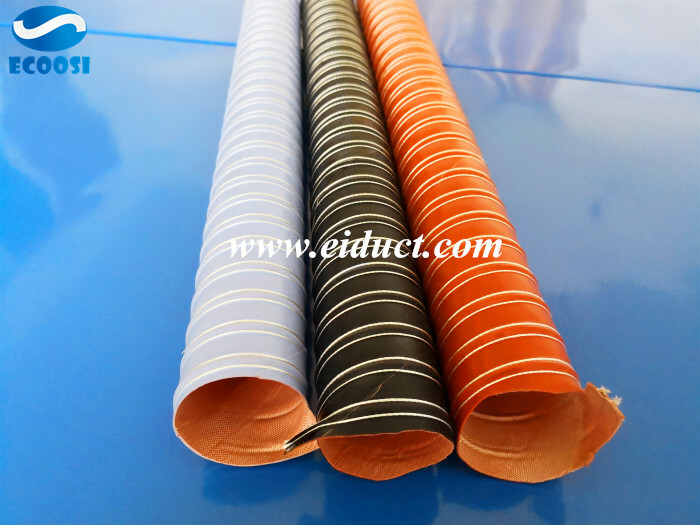 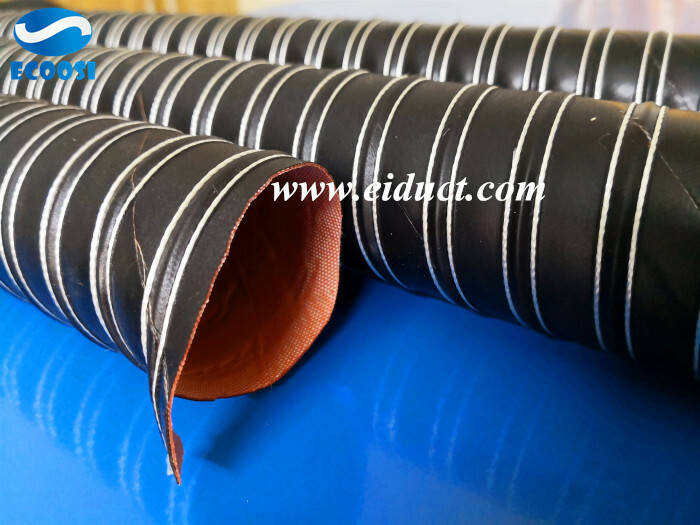 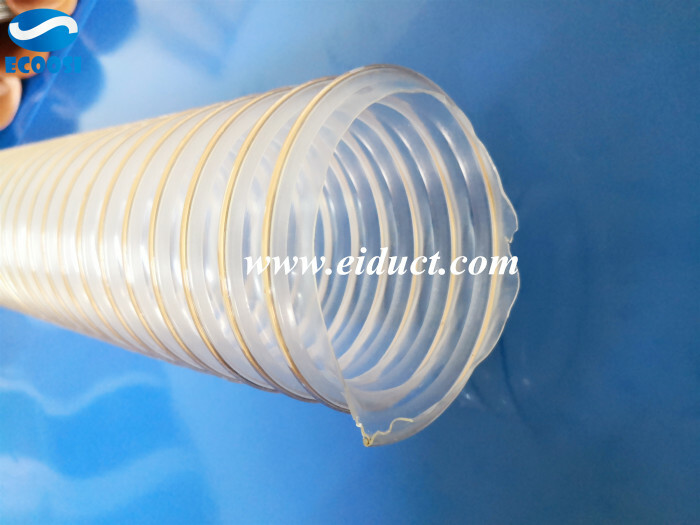 If any interests or questions in our industrial leaf vacuum polyurethane hose please feel free to contact us through email: info@eiduct.com or Mobile(WhatsApp,Wechat): 00-86-187-1155-3123, we are always here to satisfy your requirement! 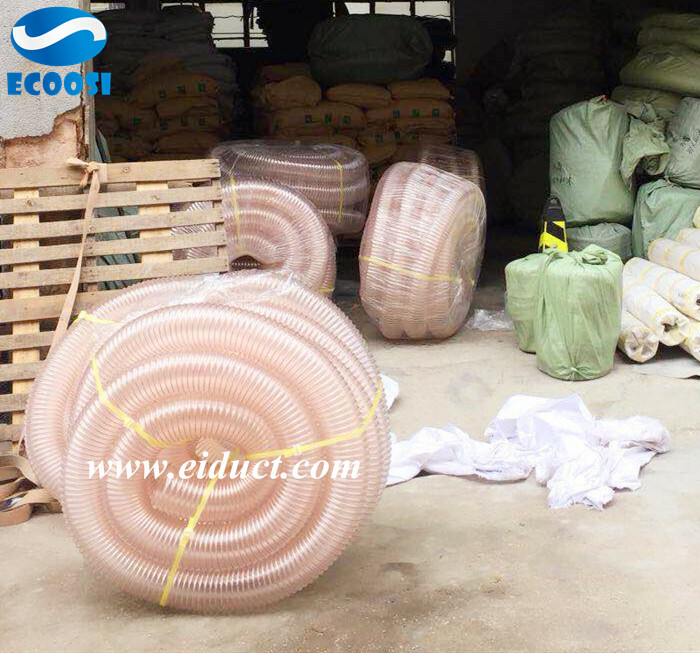 Silicone Double Layer High Temperature Air Duct From Ecoosi Industrial Co., Ltd.
Silicone Hot Air Ventilation Hose from Ecoosi Industrial Co., Ltd.